It is a sad fact that medicines are readily available in Uganda and by our standards they are inexpensive but still out of reach of the majority of the population served by Kalungi clinic. Pre Natal care is two full days pay but once funded the government will fund birth and follow up care! By comparison to the United States people earn very little, please consider supporting one of the staff at the clinic on a monthly basis! Equipment is a huge need for both the clinic and the nursing school so if you would like to consider a small gift on a monthly basis for ongoing purchases and maintenance that would be much appreciated. In 2010 Dr. Peter Kizza realized a lifelong dream and opened the Kalungi Nursing School. 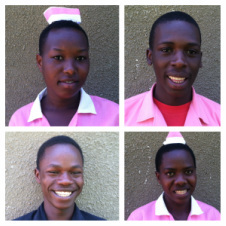 Click below to learn more then please choose a student to sponsor!